Getting a Hurts Donut in Springfield, Missouri is a little different than what you may be thinking. A lot of us conjure up memories of a sibling preparing to hit us, when we answered the question. Instead, at this eatery you get sugary delights. 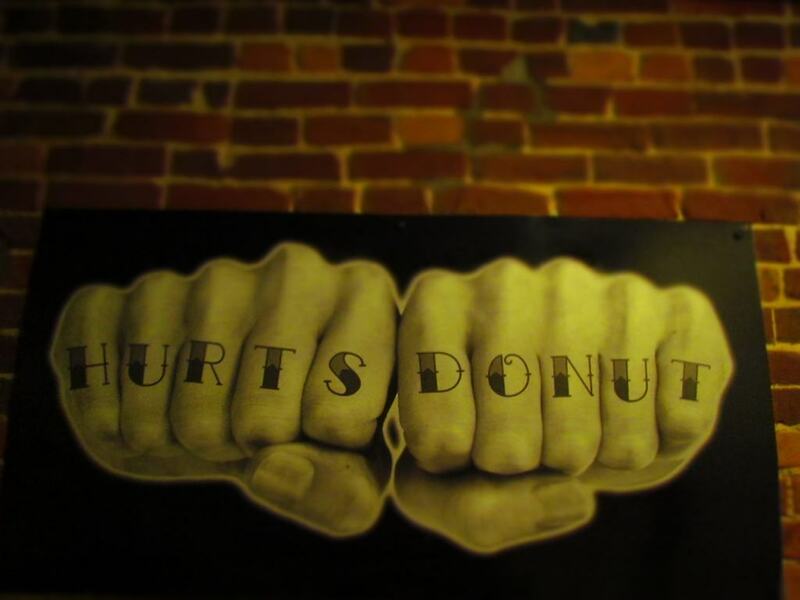 Hurts Donut is a Springfield based business started by a husband and wife team. Their motto is that they are open”25 hours a day, and 8 days a week”. The business was started about three years ago, and has grown like a wildfire. Recently they began franchising the business, and it is quickly spreading around the Midwest. Even with this sudden success, the owners still run the business with a heart for communities. On many Wednesdays they travel to neighboring cities. Here they will conduct pop-up sales, with the profits going to charities. They usually give advance notice through social media. They also wait to start selling until local breakfast restaurants have finished their morning rush. In Iowa, they raised $28,000 for the families of two police officers who had been killed in an ambush attack. Their franchise partners all participate in the charitable side of the business, as well. 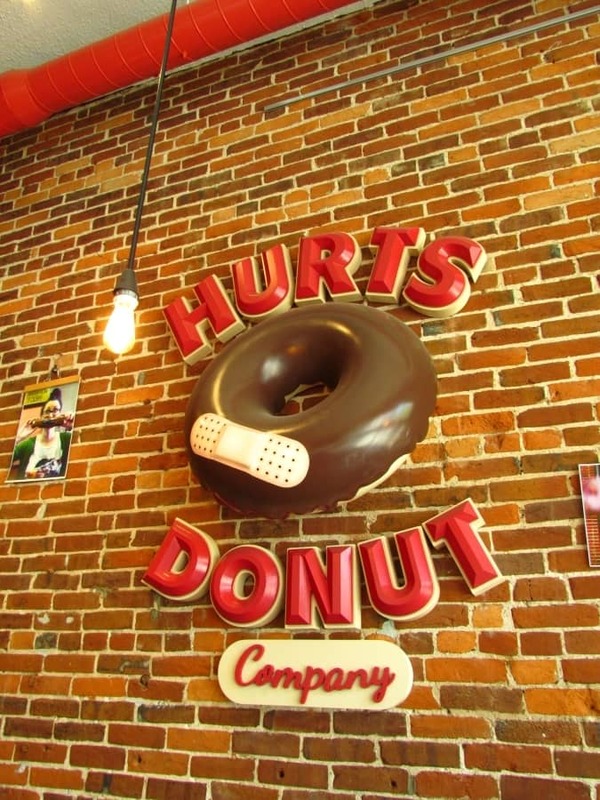 The concept at Hurts Donut is to offer “gourmet” donuts 24 hours a day. The range of flavor combinations is mind boggling. 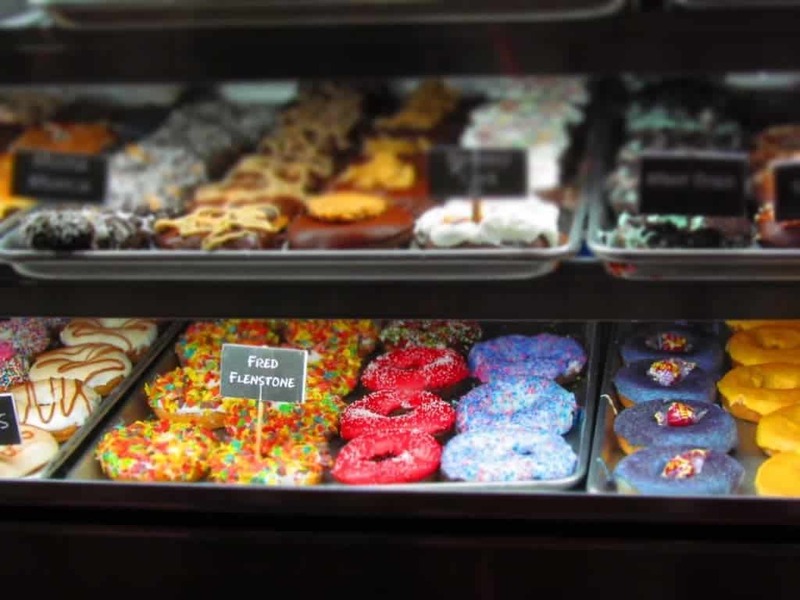 The handmade, oversize donuts are decorated with a wide range of toppings. These include everything from breakfast cereals to crushed candy bars. Some varieties are quickly identifiable, while others take a little thought. 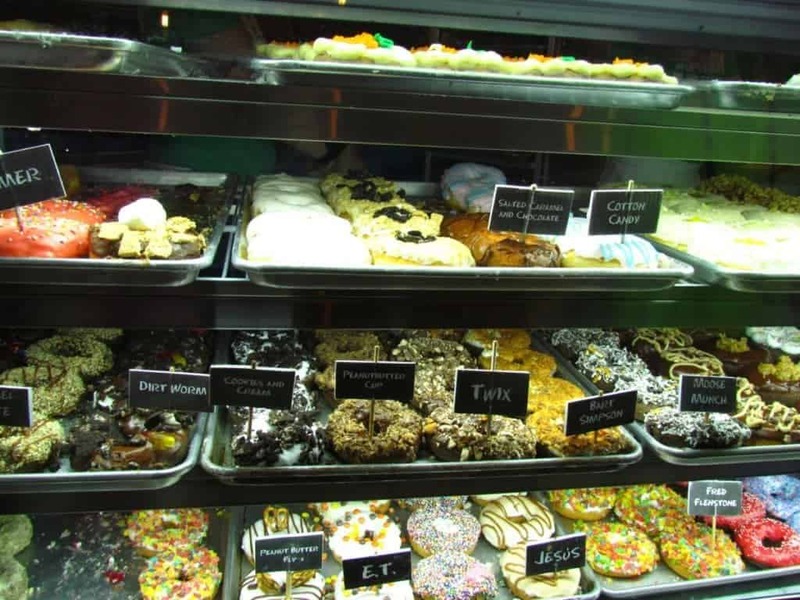 The owners realize that unlike many food cuisines, donuts appeal to all demographics. This allows them to locate their businesses in almost any part of a town. It never fails that each new store opening is greeted with huge crowds. The sugary treats are not anywhere near the realm of health food. That doesn’t stop people from dropping in and picking up one or even a dozen. During our visit, we noticed a non-stop line of patrons waiting for their turn. We didn’t mind the short wait, since it gave us more time to survey the selection. In the end, we chose the carrot cake donut, since our visit was the day before Easter. The donut was moist and sweet. Very sweet, but very good. We didn’t try that variety, since we could only eat a couple.